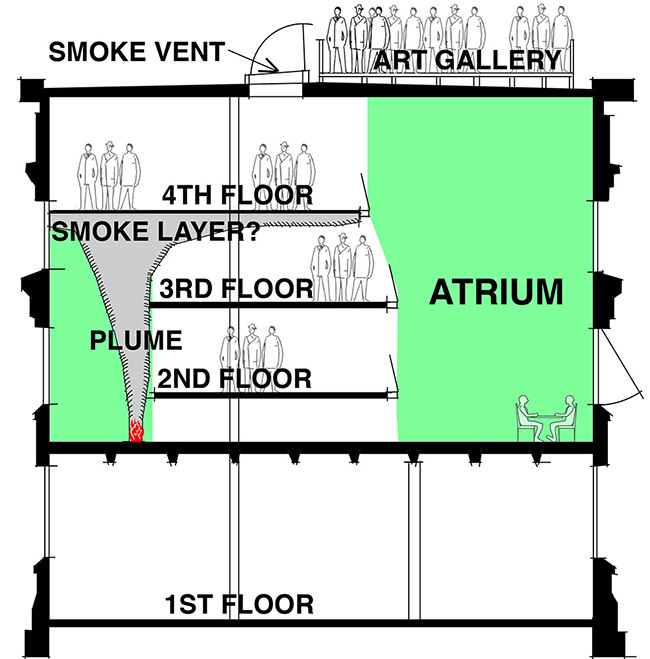 This schematic section through Rand Hall (Figure 8 in my formal code complaint; drawn by J. Ochshorn) illustrates just one of the nine code violations I have identified: a smoke control system that does not “provide a tenable environment for the evacuation or relocation of occupants” as the New York State Building Code requires. All of my writings about the Rand Hall library project are linked from this website. This entry was posted in Architecture, Milstein-Rand-Sibley Hall on April 1, 2019 by jonochshorn.